How many times has someone said to you “It goes by so fast” or “You blink and they’re all grown up!”??! While there are some stages of childhood that we can’t wait for our kid to outgrow (we’re looking at you diapers & tantrums), there are so many other time that we whisper to ourselves, ‘slow down’. You have all the time in the world to be a grown up. Cherish your childhood. It is this idea of actively helping our children to embrace being a kid that we use as a filter for many of the decisions we make. Is that TV show too grown up for them? What message is this music giving? Where on earth can I find shorts for my girls that aren’t so darn short?? For us, the toys that our kids play with are a big part of helping them to extend this blissful childhood stage. We’re not alone in feeling uncomfortable handing our beautiful, impressionable children a doll with a big chest, tiny waist, and feet that are perfectly moulded for sky-high heels. We’d much rather hand them a doll that looks like them; strong legs, round bellies and all. We’d much rather hand them a Maplelea Girl doll. Maplelea Girls are gorgeously crafted 18 inch dolls that celebrate everything we love about Canada. Their body accurately reflects a real 10 or 11 year old girl, and their hair is thick and easily styled. Yes, your chid can actually brush this hair! Ball joints at the hips and shoulders provide a range of motion, and soft torsos make the dolls comfortable to hold. The head turns at the neck and the eyes open and close. The detail in the clothing and accessories is unparalleled – seam edges are finished and the fabrics and designs are fashionable, authentic, and durable. No short-shorts here!! Best of all, each of the dolls are made from non-toxic materials. We love that each girl comes with a 64-page 6-ring expandable journal that includes their life story as well as a set of pages for our kids to write more about their doll, and themselves. The themes and stories help teach Canada’s culture, heritage and geography. They are written at a young kid’s level and often from the character’s perspective. Each doll comes with both a French and English version of the journal. Saila’s journal also includes a third version written in the Inuit language of Inuktitut. How cool is that?! And if your child isn’t drawn to any of the Maplelea Girls with pre-determined back stories, there is a whole line of Maplelea Friends with 18 different hair, skin & eye colour combinations so your child can enjoy the experience of having a doll that looks just like them for which they can create their own story. While all of those features are amazing, the truly stand out aspect of Maplelea Dolls is how they grow with our kids. Our youngest got Saila when she was 3 – at the height of her baby obsession. She would feed her and walk her and tuck her in at night, it was love at first sight. Our 8 year old has a best friend & confidante in Léonie that lives with her 24/7. They do their hair together, play piano together & share all of their deepest secrets. 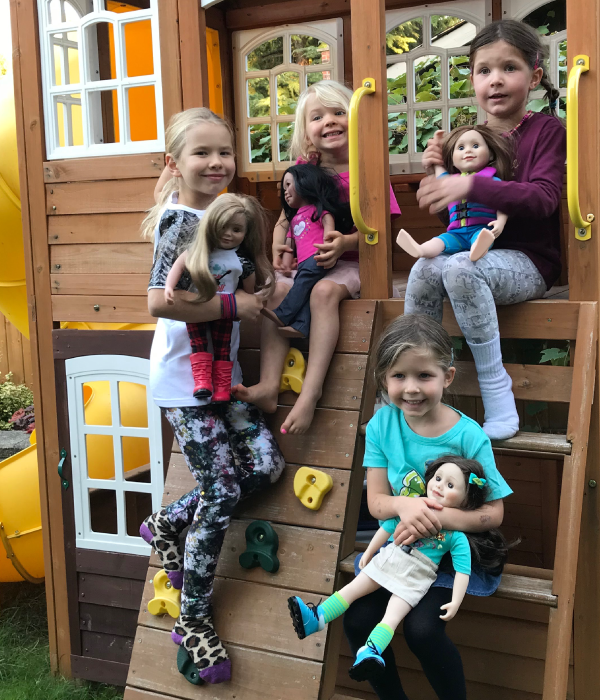 We can see how this play will continue on into the tween years when our 13 year old babysitter comes over and the girls all get together using the dolls to film short videos, stop motion projects, and cool crafts like the DIY campfire featured in the Maplelea video on the right! Maplelea Dolls are an investment in your kid’s childhood that pays out rewards for many years to come. That’s why we’re extra excited to give away a Maplelea Girl or Maplelea Friend of your choice ($100 value)! Enter through Rafflecopter below by 11:59 pm on Thursday, October 26th. You must be a Canadian resident (not including Quebec) and aged 18+ to be eligible to win. Note: Maplelea Girls & Maplelea Friends are safe for ages 3+ due to choking hazard presented by small parts. My daughter would love Charlsea, because we also live on the coast and love to kayak! KMF9! Looks so close like my daughter! My daughter would love Charlsea because it looks like her! KMF11-maplelea friend is the one that I think my daughter would fall in love with because that’s the one that looks most similar to her. My daughter would LOVE the hair on friend KMF11! So cute! My daughter would love Alexi because she’s a little city girl too! My daughter wants one of these so bad!! Which one? They are all so lovely! Taryn is the perfect friend for my little girl who’s obsessed with the outdoors and camping. My daughter would fall in love with Charlsea! They share so much in common. Our home is beautiful BC on the west coast of Canada. They share a passion for nature, the outdoors, animals and the environment. She got to kayak in the ocean this summer with her cousins and had a blast! My daughter would love Taryn because it looks just like her. Brianne, she has bangs, a farming dancer…what a great combo! My daughter would also love an outfit that matches her doll. My daughter would love KMF9, because it looks like her! I think that My granddaughter would love to have Charlsea because she’s a Coast girl and looks a bit like her too ! Leonie is so beautiful. My daughter would love her. My niece would just love Charlsea because she sort of looks like her. And she has cute features and accessories! My girls would love Leonie because they’re learning French! I asked my daughter which one she liked and she told me Saila because of the snow, haha. I would love to get Alexi – our last name is ALEXIS and that would be so cute! The Friend with brown curly hair would be amazing for my daughter with the same ‘do. I think my girls would fall in love with Léonie because their dad is from Quebec and they love the culture when we go visit there. 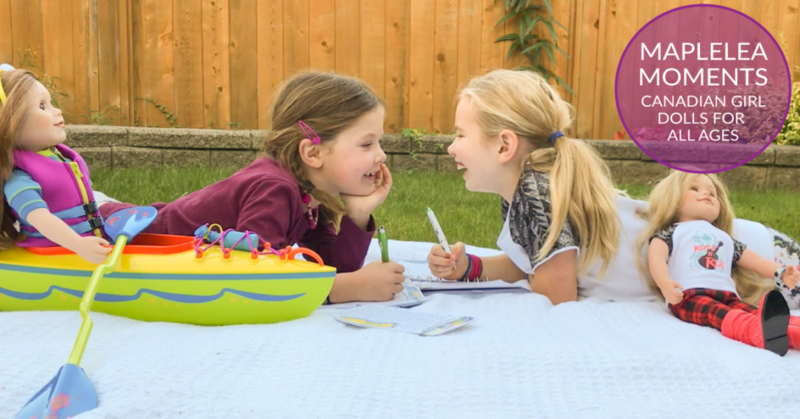 They are both in French Immersion at school, and get a taste of the French culture through that, as well as through family visits and talking with their cousins who participate in so many fun French/Quebec traditions. This doll would be treasured by them! My girls would probably like Jenna beCause they have a cousin with that name that they adore, and she has cats! Charlsea. West is best, got to love a west coast girl. The Jenna Doll for my niece! It would be a great Christmas present! My daughter’s would love Leonie because of her French background – I love Saila. Live in BC and so I think my daughter would choose Charlsea!! She also is wearing a mix of colours which my girl does all the time. Thanks for the opportunity! My daughter would love to win a doll. Most likely one that looks similar to her, KMF13. Thanks for the chance to win! My niece would love Charlsea because she’s a real west coast girl! Jenna. Her hair is the same colour as my foster daughter! I like Saila and her outfits the best!!! Y daughter would fall in love with either Brianne, or Jenna. They have similar interests as she does. My daughter spends hours looking through the Maplelea magazine we have. She loves Brianne as she likes ballet like my daughter does. She would be over the moon to win her! My daughter would love the KMF19 doll as it looks the most similar to her! Alexi would be our favourite! She is a cute city girl with amazing fashion sense! My daughter would love Charlsea, because she’s from the West Coast like us, or Leonie- because red is her favourite colour! I think my goddaughter would love Charlesea. Her mama’s from the west coast of Canada but they live on the East coast in America. I’d love to share more about the West coast of Canada with her! My daughter would love any doll but Taryn looks nice! Hi! The KMF11 but with blue eyes (not sure that’s even an option?) would be my daughter’s mini-me. What cuties they all are! My daughter might be to young but my niece would love Taryn she loves the mountains and being outdoors. Thanks for the chance. Love these dolls. So high quality. Love all the Maplea dolls. High quality and Canadian. I collect dolls for my grandkids to play with and they are totally awesome! My daughter would love Alexi because we love to visit Toronto and spend time in the Big City! She also has such stylish clothes and loves gymnastics just like my daughter! My 3 year old would love Charlsea because they both love searching our coastal beaches for ocean animals. That is my daughter’s favourite thing to do, too! I think KMF13 is cute. My daughter pointed out Leonie as the one she liked when the catalogue came to our house. My daughter would love to have Charlsea. We are in BC and she loves skiing. She would take her to Whistler. My daughters love Taryn! I also love her love of the outdoors and adventurous spirit! 🙂 Thanks for the giveaway! Taryn as she loves the outdoors. I would choose Alexi because it looks just like my daughter! My niece would like Leoni, she looks so much like her. I’d pick kmf21 as it looks a bit like my niece. I think she’d love it. My daughter would love Leonie (because she looks like her) or Charlsea (because she is from the West Coast). Thanks! I love that Canada has their version of a doll. My daughter got a Maplelea Dolls magazine with her Chirp magazine this week. She has been carrying it around with her since she got it. She picked Taryn as her favourite be cause she’s an artist. My younger daughter picked Charlsea because she likes to play outside. Oh I have wanted a Maplelea doll for my daughter for a while now. Fingers crossed!! They are soooo beautiful!! My daughter’s love Charlsea because she kayaks like they like to, is from our province and is adventurous. This would be the most amazing Christmas gift for my daughter! My daughter would love to win Maplelea Friend KMF28. We love Alexis new outfit. My daughter would love Saila because she loves the Arctic and the colour purple. My niece would love Saila because she looks like the women in our family. My daughter has Saila and absolutely adores her. She would love to bring Maplelea Friend KMF11 home to be a friend for Saila. I am an adult collector and I would really love to win Saila. She is such a unique doll and her story is really interesting. My daughter would love the Léonie Belanger doll because she would love her style and she likes hockey too! My daughter would love Lèonie! I think my niece would love Léonie because she is learning French so the Quebec background would be fun for her! My granddaughter would pick Jenna, she looks just like her and they would be twins!! she would love having her very own friend since she is an only child!! I think my granddaughters would like Taryn best. My Niece has always wanted one of these, especially with the wheelchair and crutches set so she can have them like her Aunty does. My daughter would love Léonie 😊 Thanks for the chance! I’d love to have a Maplelea for my little three year old son because he’s always surprised and confused by dolls at his preschool (they’re so shapely and so different from his understanding of “girls”.) It would be awesome to let him explore and have adventures with a doll that’s more like his playmates, fun and sweet, grounded and not sexualized. Charlsea seems like a good pick that meets those criteria! My niece would love Taryn because she looks like her. They are all amazing ! I think my daughter might pick Charlsea because she’s similar to her . She would like Taryn because she is the doll that most resembles her and they can be twins. My girls would like Leonie as she is from Quebec where both my husband and I are from and she looks like them. Kate would love Leonie…she looks like her the most! Taryn is one I think my niece would really like, I think she looks a lot like her. My daughter would love Brianne because she loves to dance! My daughter would like Taryn because of the butterflies on her shirt. My 6yo would be thrilled to have a Maplelea doll! My Grand Daughter would Love Charlsea. I live on Vancouver Island and she lives in Edmonton. When she visits we could go to Salt Spring Island and explore. 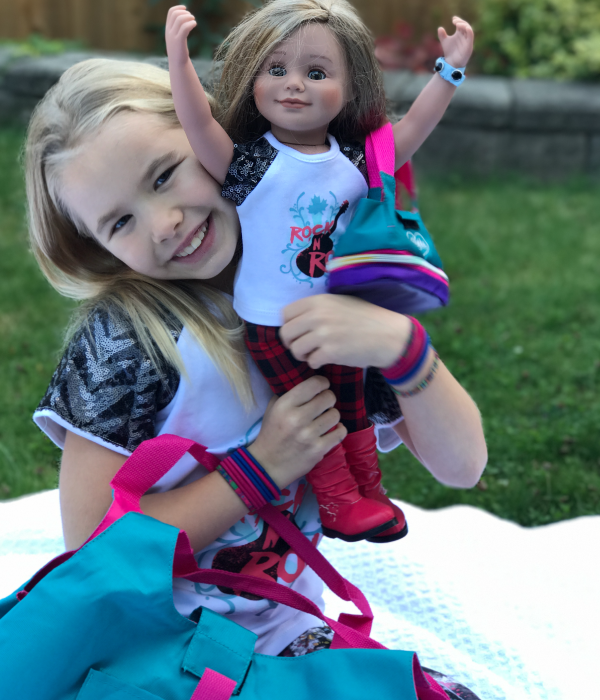 My daughter would probably love Leoni or Chelsea the best — but I’m sure she would be excited to receive any of these dolls! Leonie looks most like my granddaughter and she’s in French Immersion school so this would fit. Probably Alexa, as they look similar! Hands down- Saila! Love the time and effort that Maplelea went to to create this beautiful doll. I think my daughter would enjoy Charlsea. My daughter would love her fun and colourful clothing and some of the activities Charlsea does. These Maplelea Dolls are so adorable! My grand daughter would LOVE to have one of these Canadian girl dolls!! She looks alot like Leonie. Their adventure awaits…wishful Gramma! 🙂 Thanks for the chance! I think my little girl would love leonie. Such pretty dolls. 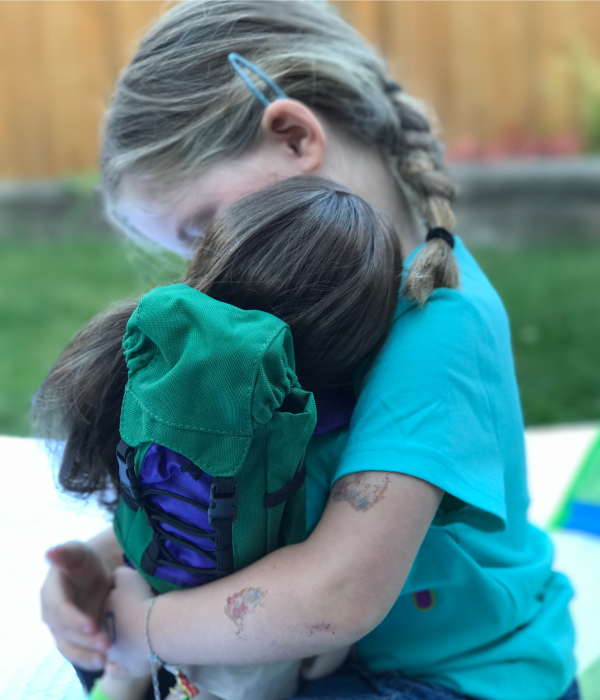 I visited the Maplelea website and the Maplelea Doll that my granddaughter would most likely fall in love with is Taryn Brady because the Rockies is also in her backyard. Would love one for my daughter, great they are a Canadian company. My granddaughter would like Charlsea who lives on the west coast where she lives. My granddaughter would love Alexi as she loves gymnastics and enjoys being on her iPad. My granddaughter would love Taryn, she from the Rockies, same hair and eyes colour as her. My daughter would love Charlsea, because we love to kayak! I showed my 5 year old the map with the Maplelea Girls and she liked Léonie best. She says she likes her hair and thinks she looks like she would be a fun friend to have! My daughter would love a Maplealea who looks just like her! My little girl would love Taryn because she loves the outdoors just like her. I think my daughter would most like Charlsea, because she has long dark hair like her, and LOVES to wear headbands. Also, she has her own sense of style. We would love to have Alexi as we miss living in downtown Toronto and my girls love her story. I always loved Léonie. I think she is the prettiest one. Taryn is super cute! I would choose her for my niece! My daughter would love Taryn because we live near the Rockies. We would choose Taryn, she*s cute and outdoorsy. My little would love Alexi because she looks like her and has the same name as her bestie! It would be Taryn because we love the Rockies! And her “stampede style” accessories would be perfect for us Calgary residents! Thank you for the opportunity! My little one would be thrilled to win! Taryn as it looks sorta like my great niece, she would LOVE this. Absolutely would pick Charlsea! We live on the “Wet” Coast as well and she just seems to be the doll version (in looks and personality) of our youngest daughter Georgea 🙂 All her dollies are hand-me-downs from her 3 older sisters so a new doll would be an amazing gift! I would love to choose Charlsea for her adventurous spirit! She reminds me of my grand daughter! I think my daughter would like Alexi because she’s from Toronto and we love travelling to Toronto for Blue Jays games.